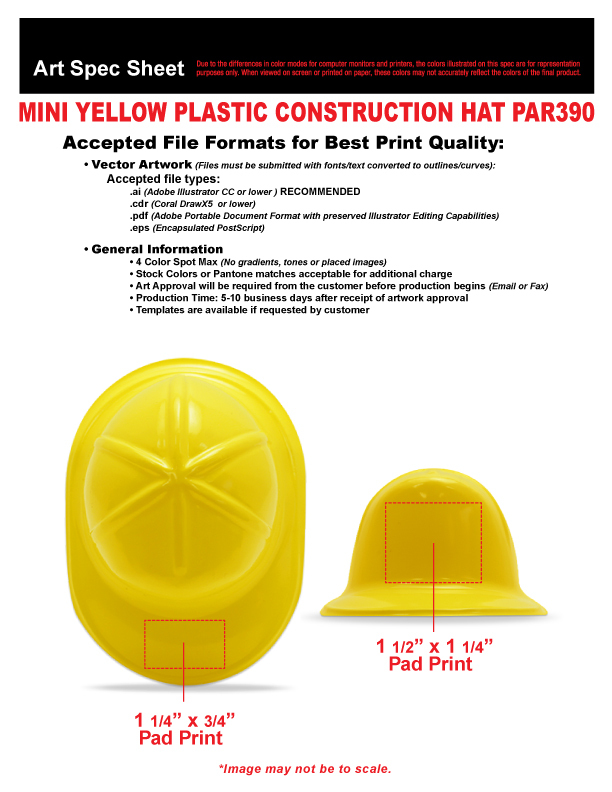 Quick Info: Our mini yellow plastic construction hats are 5" x 2 1/2" and make perfect centerpieces and decorations for your next party. 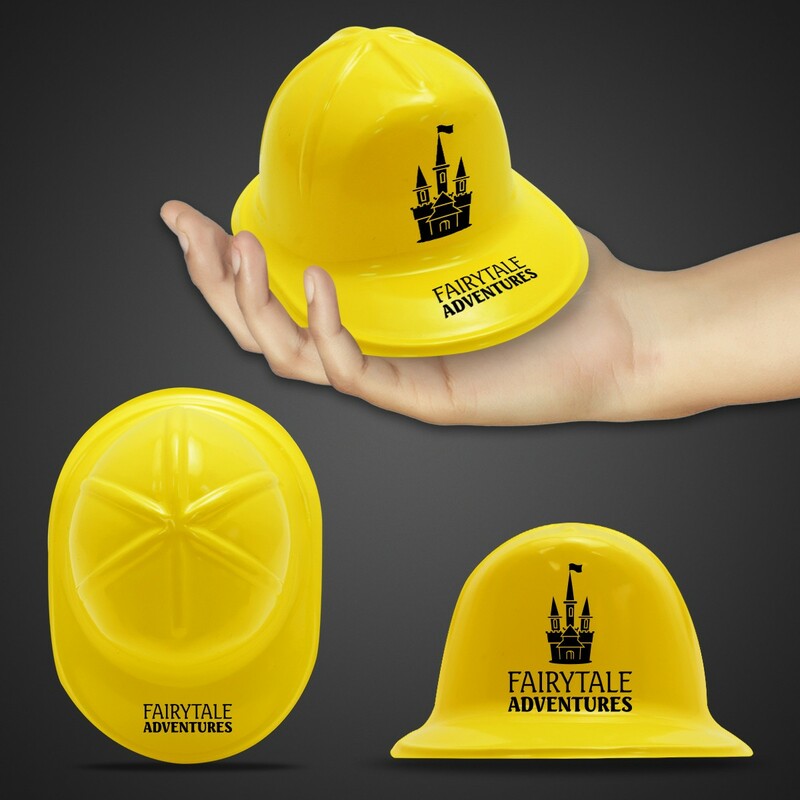 Perfect for construction and building promotions. Priced per hat. Our mini yellow plastic construction hats are 5" x 2 1/2" and make perfect centerpieces and decorations for your next party. Perfect for construction and building promotions. Priced per hat.